Update, March 15: Neither Epic or Twitch paid Drake or Ninja for last night’s stream. Last night, Ninja’s Fortnite stream – with a little help from Drake – broke the viewer record for an individual Twitch streamer. That’s good publicity for everyone involved, and you’d be forgiven for suspecting it was all a bit of paid promotion. But it seems the streamers involved weren’t getting any extra compensation. Who needs Ninja, when you have our Fortnite tips and tricks. Both Epic and Twitch tell GamesIndustry.biz that they didn’t compensate either player for their record-setting stream. The publicity provided was all free. Epic are nonetheless capitalizing on all this celebrity interest in Fortnite with a celebs-meet-pros special event at E3 this year. Regardless of who ends up on top, it appears that everyone is playing Fortnite these days. 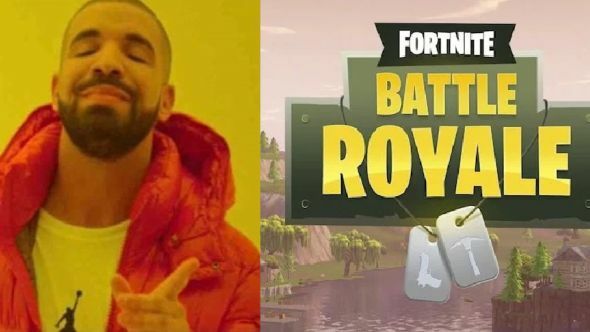 Original story, March 15:Fortnite is breaking records all over the shop, and last night it checked another one of the list, as Rapper Drake tuned in to play Epic’s battle royale alongside streamer Ninja. The stream broke Twitch’s all-time concurrent records (for non-tournaments), with more than 600,000 watching at its peak. Drake tweeted at around 5am (GMT) last night, simply saying “playing fort nite (sic) with @ninja.” On stream, the pair discussed the future of Fortnite: Battle Royale, and it was revealed that Drake thinks Epic should continue to innovate on their current map, rather than making a new one. He also proved to be a generous player, dropping weapons and medkits for Ninja throughout the stream. In terms of viewership, Ninja’s stream peaked at a total of more than 635,000 viewers, far surpassing Twitch’s previous-largest offering outside of a major tournament. Dr. DisRespect held the previous record of around 388,000 for his return stream, having claimed the title for Tyler1. The stream helped push Ninja’s total subcount above 180,000. Earlier this month, it was revealed that he had gained 50,000 subscribers in just 10 days, but since then, he’s gained more than that again in just over a week. The biggest Twitch stream of all time in terms of concurrent viewers is 1.1 million, for the Eleague Boston Major.